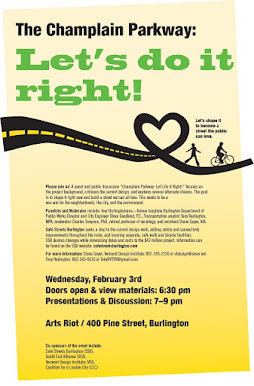 The 130 foot diameter roundabout will have on/off ramps for bicyclists on each approach/exit to shared space with pedestrians so a cyclist has the “choice” of taking the circular travel lane or switching to pedestrian mode to move through the crossings then ramping down onto to the street level again. 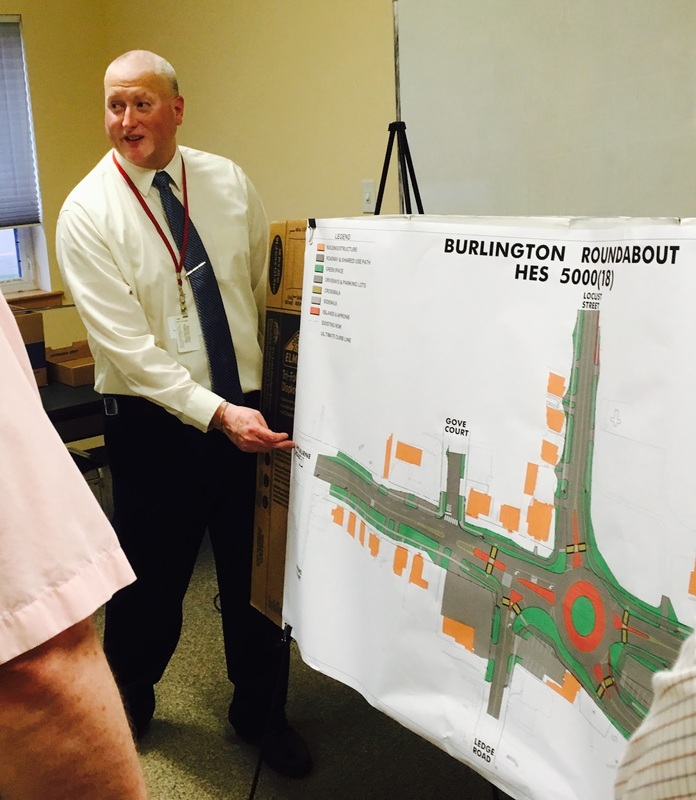 Tony Redington, a member of the Technical Committee on the Walk Bike Master Plan noted the two pedestrian crashes in four years at the intersection and compared that to one crash in 50 years recorded at five downtown Vermont roundabouts. “One would expect only about a pedestrian crash once a decade with a roundabout,” said Redington, also a roundabout expert and representative of Safe Streets Burlington. He asked everyone to be careful walking at a roundabout as with about 5,000 in place in the United States and Canada not a single pedestrian fatality has been recorded to date. There are 12 public main streets and roads roundabouts in Vermont dating from the first in 1995 but none in Chittenden County. The U.S. roundabout 2001 key safety study by the Insurance Institute for Highway Safety found a decrease of about 90% in serious and fatal injury rates after conversion to roundabouts. AARP advocates conversion of signals to roundabouts because of the higher rate of senior drivers fatalities at intersections compared to non-senior drivers. The average "busy" signalized intersection converted to a roundabout reduces pollutants, gasoline consumption and global warming gases generated at the intersection traffic by about 30%. When people write such long long articles.I feel amazed that how they get that much capcity to write too much.Your article is good but i more liked your writing talent.